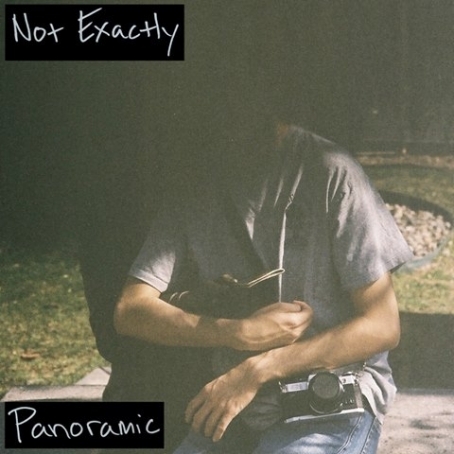 Panoramic are sad boys who rock, as well as sad boys who also happen to be DIY4LYFErs. Respectively prolific and intimately tied to DIY scenes of Orange County and the Inland Empire, members Alex Vercnocke, Austin Jenkins, Jonathan Modell (The Human Machine, Tririlla Recordings), and Matt Sturgis (The Palisades, Hillary Chillton, Model Talk) are running out to the southwest from August 5th till August 11th with mathpop duo Talk, Tired Thanatoid, coinciding with the release of Panoramic's debut album Not Exactly. Recorded at hideout/traphouse/lovenest The Palisades, the quartet's first full-length sees an expansion beyond the pop punk roots of EP "Rule of Thirds". Polyrhythmic piano solos and tight harmonies combine with quintessential tropes of the post-teen years including walking away from love, addiction, lost friendships, and suburban malaise. The album is being released on cassette (/25) and on CD via Pacific Nature Records: each cassette and CD will be scented with pine essential oil. See their tour kickoff/album release party at Beatnik Bandito tonight, and listen to the first track of the debut album, "Not Exactly", below. Alyx Poska is from Orange County, CA. He likes weird show locations, #smoothmusic and critique of the capitalist wasteland. He's the founder of diy4lyfe records & zine and co-founder of OC DIY as well as local cult leader. He is a strong proponent of genres like bummer punk, yacht rock, new weird americana and smooth music. Diners came through Southern California multiple times in 2015, each show gathering larger and larger crowds to watch their smooth desert pop jams. 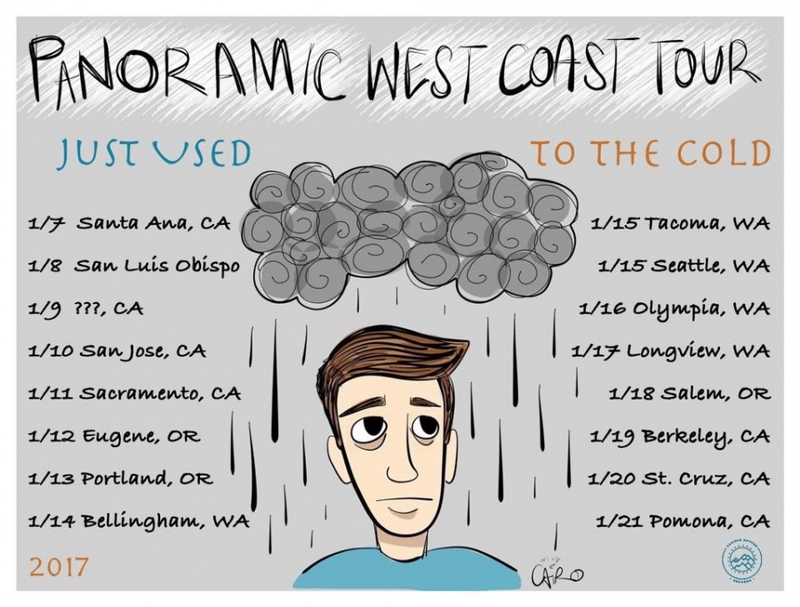 With the departure of drummer Tristan Jemsek to Seattle, frontman Tyler Broderick began 2016 with a “solo” tour that featured intimate performances throughout the great state of #Kali. I was lucky enough to catch him at Bridgetown DIY in La Puente, as well as in Orange County. This show, booked by Aaron Kovacs from Lauren Records, featured three locals that tended toward the indie rock and bummer punk side of the spectrum, and all three were quite loud in Bridgetown’s boomy but narrow space. Panoramic started off the night with two bass amps but no bass player in sight. They were one of the two power trios playing, and by the time their set started a small crowd had formed. Heavy hitters Settling played second and pushed the limits of people’s eardrums with songs from their digital single “Ava/Pretty Dream” and their demo EP. 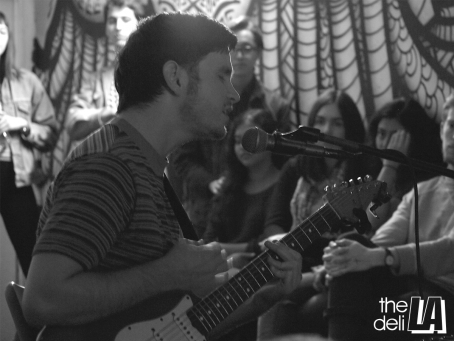 Diners was a welcome relief for the ears as people crowded around Tyler’s guitar amp and keyboard. Tyler treated the crowd to old favorites (even tracks from their first EP “Throw Me a Ten”), and songs from the latest Diners 7”, “It’s All True”, put out by Asian Man Records. His subtle musical showmanship was captured in the different performance stunts like medley-ing short songs together, grand pauses, continually rising key changes, and repeated chordal motifs that would show up randomly in other songs. The crowd was enchanted and definitely left wanting more of his unique brand of smooth ‘60s and ‘70s pop music.